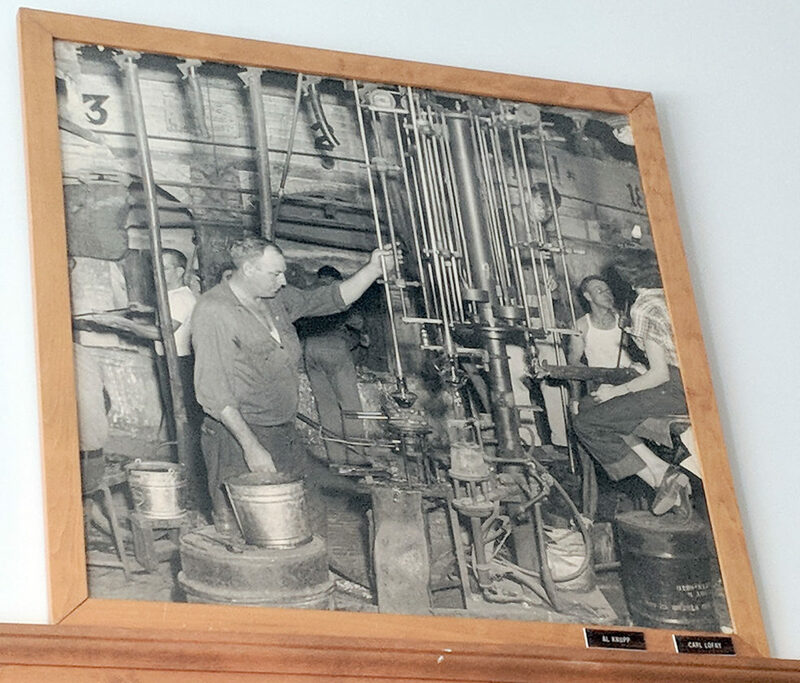 PHOTOs BY NICOLE WALBY Tiffin Glass Museum has reorganized displays and has photos mounted on the walls of glass factory workers from the 1940s. 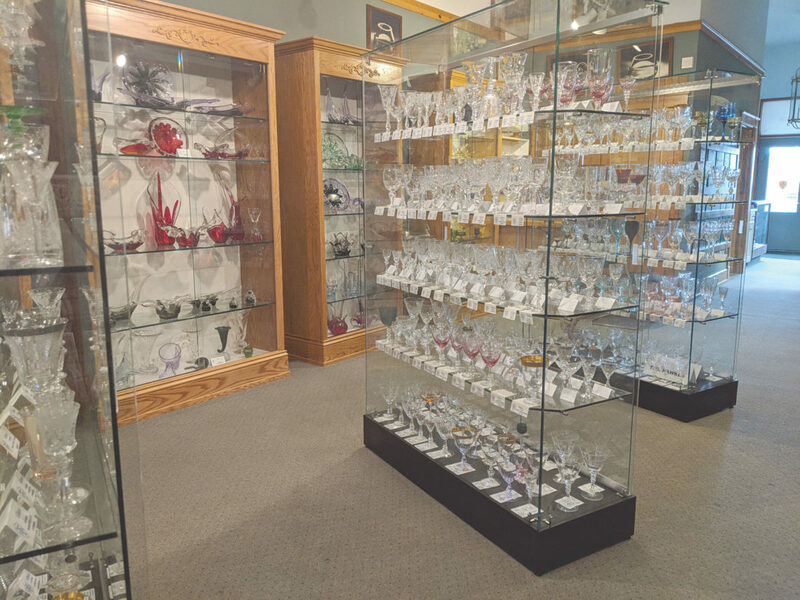 Those who visit Tiffin Glass Museum will see some additions, including new spaces to view more glass pieces. 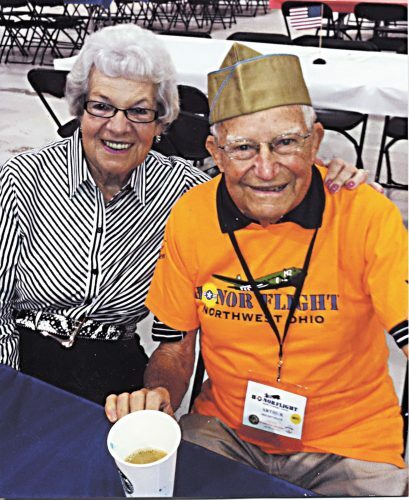 Located at 25 S. Washington St., Tiffin Glass Museum has been operating since 1998, Ed Gosche, president, said. The exhibit presents examples of the glassware produced at the Tiffin factory from its beginning in 1889 as the A. J. Beatty & Sons Co. until the end of production in 1980 as Tiffin Glass Co. Many memorabilia items are displayed as well. Renovations in the apartments above the museum resulted in the facility being closed in January. It reopened last week. While closed, Gosche said, museum staff went through their glass work catalog and reorganized some displays to bring out more archived pieces. Some new pieces on display include etching plates from the 1920s. There are more than 170 plates that will be displayed on the walls. There also is more stemware and tableware on display. 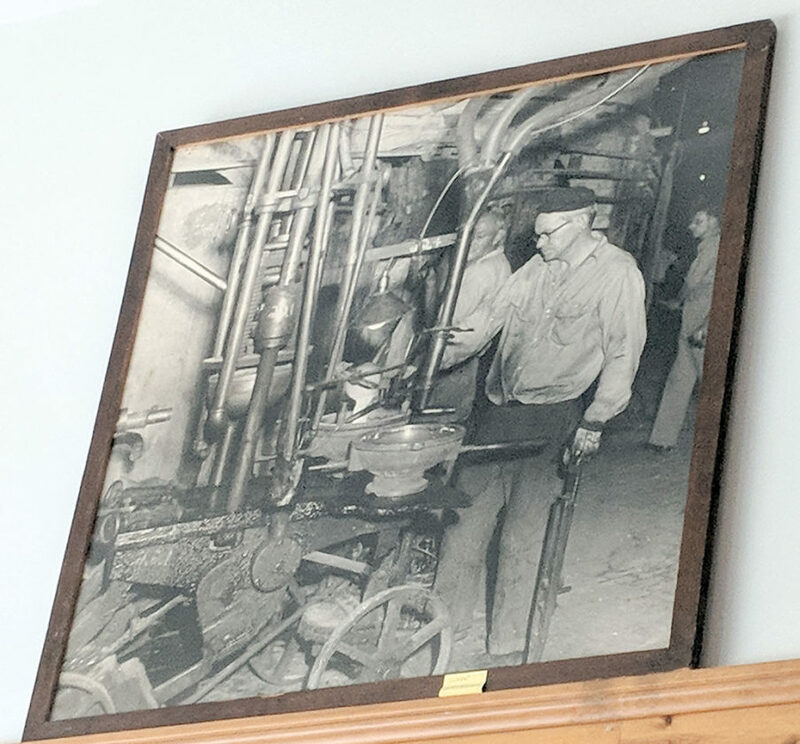 Large photos also have been mounted on the walls of Tiffin Glass workers from the 1940s, Gosche said. “We have many relatives come in and recognize what we have in the cases,” he said. There also are new cases and shelving to allow for more pieces to be viewed and more archival pieces, such as woodworking tools, on display. The office also has been updated to allow for more counter and cabinet space. 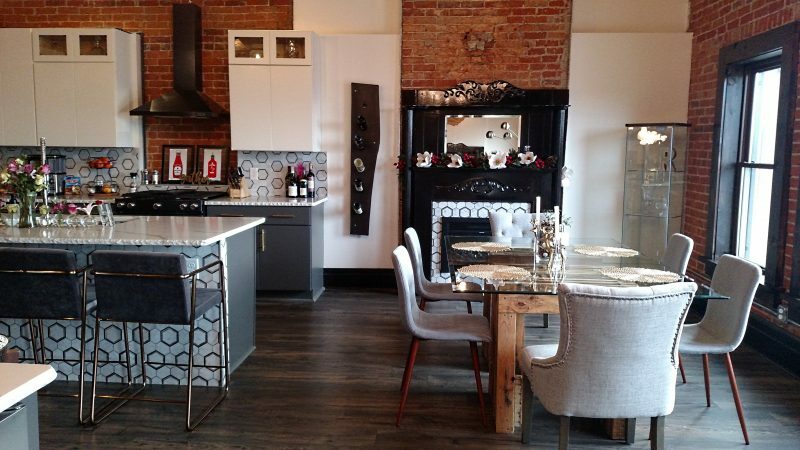 “We are just doing what we can to maximize our space,” he said. Gosche said the additions still are being worked on. An ongoing project involves scanning the museum’s catalogs so dealers and collectors can view them online. Gosche said the project should be completed by the end of the year and the staff hopes to have the catalogs available for download. The renovations have been paid for by a $2,000 grant and donations, he said. The museum also is to celebrate its 20th anniversary in September. Tiffin Glass Museum is open noon-4 p.m. Wednesday through Saturday.